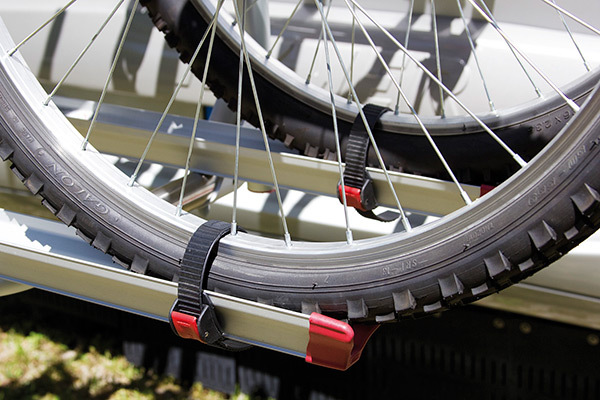 It's easily installed on bike carriers of any brand and fit most diameters of wheels of the market. The traditional and sturdy supplementary 128cm with a reinforced base. Easy to install on the Carry-Bike thanks to the pre-drilled holes on the rail support base. Comes with 2 standard sliding straps Quick-Safe. * Available on request the blue (Item No. 98656-328), black (Item No. 98656-098) and grey (Item No. 98656-327) versions. Ask your retailer for availability and delivery time.